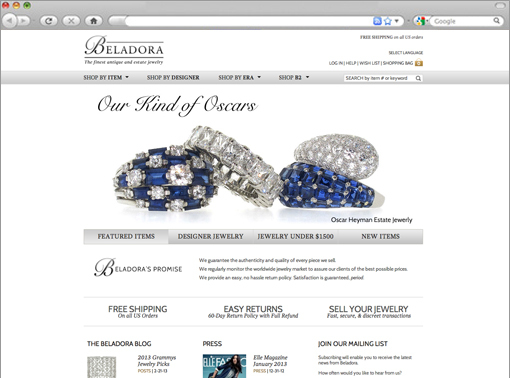 We redesigned the eCommerce site for Beladora, an online retailer for antique and estate jewelry. Our focus was on usability, aiming to create a seamless shopping experience for their loyal customers. We integrated advanced filtering widgets to help users find the perfect item, and introduced a blog to highlight their articles and press.